After residents voted to move the county seat from Sonoma to Santa Rosa, Sonoma County built two grand courthouses in the center of the town. The first, completed in 1885, was destroyed in the 1906 earthquake. The second, constructed of locally quarried stone and reinforced with steel and concrete, was "built for all time and the earthquake," according to one local historian. But by the mid-1960s the county was forced to declare the building seismically unsafe and it was demolished. 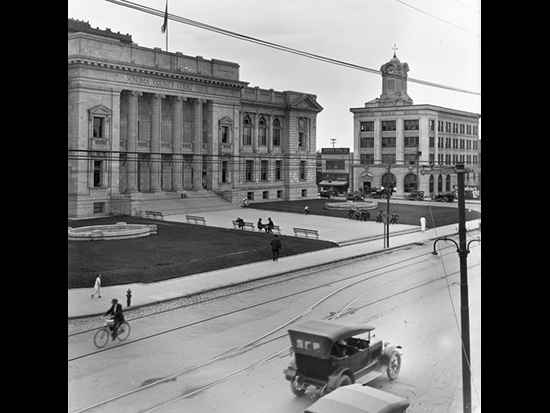 After the courts moved to a new county center, the site was rededicated in 1967 as "Old Courthouse Square."